Michelle Madow: EXCLUSIVE FEAR VIDEO!!! Hi, everyone! I have something exciting to share with you all today -- an extra special exclusive video about FEAR, the next installment of the GONE series by Michael Grant that's coming out on April 3, 2012. Watch the video and learn a secret from Michael Grant about something that will be revealed in FEAR! 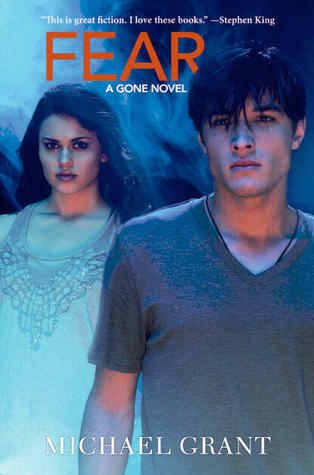 In celebration of the FEAR release, I'm giving away a Kindle or Nook version of any book you choose in the GONE series! To enter to win, all you have to do is watch the video and then fill out the Rafflecopter form, guessing who you think Michael Grant is talking about in the video. You can also discuss who you think he's talking about in the comment section of my blog.